As an industry leading manufacturer of metalworking fluids, dielectrics for spark erosion and water-soluble lubricants, Oelheld is delighted to announce that it has become the exclusive UK distributor of the Indusa air filtration, oil mist and dust extraction systems. Complementing the existing fluid products and Vomat filtration range, the prestigious new brand enables Oelheld to offer a complete range of fluid management solutions. 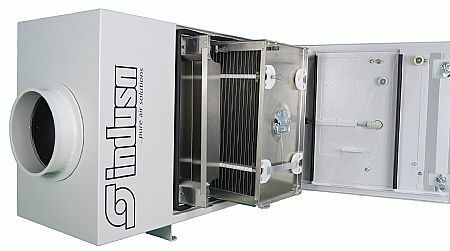 Making its UK exhibition debut at the forthcoming MACH exhibition on Stand H17-532, the new Indusa brand that is now available from Denbigh based Oelheld is a comprehensive line that includes the Elstar electrostatic separator range, the Mestar mechanical air filter series, the Dustar dust filtration units and the Vlitec media filters. 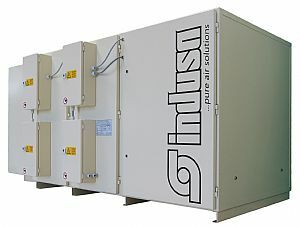 As well as these core product lines, the Indusa brand also incorporates centralised exhaust air and filter concepts, the Contral plant control system, cyclone separators, suction collectors and exhaust collectors as well as a variety of pre-filters, electrostatic precipitators, fans and silencers. With fluid management and environmental solutions that cater for the complete life-cycle of its products, Oelheld has also extended its team to enhance the sales and technical engineering services the company can offer. The new additions to the Oelheld team include Mr Chris Slater, the new area sales manager and Mr Alistair Hornby, the company's new service engineer. Commenting upon the addition of the Indusa brand and the new appointments, Oelheld UK's Managing Director, Mr Peter Mangan says: "This is an exciting era for Oelheld UK. We have witnessed significant growth over the last couple of years and the addition of the high-quality Indusa brand further strengthens our full-line fluid management portfolio. To underpin this expansion, we have added an area sales manager to support the growth of our company whilst the arrival of the new service engineer demonstrates our commitment to delivering unparalleled levels of service to our customer base." For cleaning your machine tool exhaust at source, the Indusa Elstar electrostatic separator breathes life back into your machine tool. The Elstar electro-filter is suitable for the removal of oil mist, emulsion mist, oil smoke, welding smoke, vapour, suspended particles, oxidizing smoke agents as well as aerosols, making it suitable for nearly every industry application. Alongside this impressive electrostatic oil and emulsion fog separator is the Mestar mechanical air filter. The Mestar is one of the few devices on the market that can freely control exhaust volume. This enables the suction power to be kept at a constantly set value for as long as possible. With the operating point setting, the filter is the ideal companion for all kinds of machine tools. The mechanical air filter is used for the deposition of oil and emulsion mist, oil fumes, haze, suspended particles, oxide-containing smoke and aerosols. 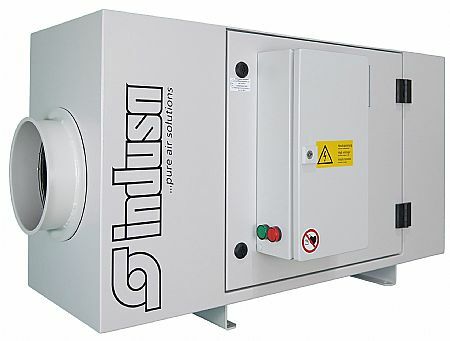 For the removal of dust from the work environment, Oelheld can also offer the new Indusa Dustar range of dust filters. The Dustar series ranges from simple pocket vibrating filters to large cartridge filters. This diversity encompasses a complete application field that includes the removal of welding fume, metal, glass, ceramic dust and much more from the machine shop. The innovative Dustar filters have been designed to generate the lowest possible pressure loss with the highest possible degree of separation. To remove impurities from fluids and cutting oils, the Oelheld Indusa brand has developed the Vlitec series of non-woven filtration products. Through the use innovative sewing techniques, Indusa can fabricate fleece hoods, sacks and similar designs to meet the various designs and demands of the end user. The filtration media can be manufactured from materials such as viscose, polypropylene and acrylic to suit specific needs of the customer. For further details on the extensive range of Oelheld fluid solutions or the Indusa brand of environmental and extraction management systems, come and visit us on Stand H17-532 at MACH 2018 at the Birmingham NEC from the 9th to 13th April.